Nicola Bald Photography aims to provide you with an excellent customer service and the highest quality portraits. However if you are not satisfied with our products or the service received, we will endeavour to correct the problem to your satisfaction. re-schedule your shoot. On arrival you may be asked to wait till we complete the previous shoot. The named Client(s) must attend the Viewing. No children are allowed at the viewing. We archive all images for a maximum of 3 months from the date of your shoot. We dispose of all unwanted photographs. We arrange your viewing on the date of your shoot. If you fail to attend and fail to book within 7 days we will not keep your images. All bookings require a deposit. We are a very busy studio and require a non-attendance deposit, refundable at the viewing provided all booking and viewing terms are met. If you have a gift voucher please check the voucher entitlement details. Our standard deposit fee for portraits/pets is £20 and £30 for Make-Over/ Boudoir sessions. If you are adding people the additional payment must be made at the time of booking and is non-refundable. If the additional people fail to attend on the day, payment is non-refundable. All party and direct bookings require the full balance, payable prior to the shoot date. Clients must arrive freshly ironed clothing, clean with groomed hair. All clients; please ensure clothing is clean and ironed avoiding tops with printed writing and logos. A change of outfit is optional but maybe limited due to time constraints. Make-Over clients; please arrive with no make-up and dry clean product free hair. If there are any skin complaints ie. cold sores, sty’s, head lice etc. We will refuse to shoot as these medical conditions can contaminate the make up artist’s brushes and can be impossible to edit out. Due to the individual nature of your portraits, orders cannot be altered or cancelled once placed. the time of placing your order. 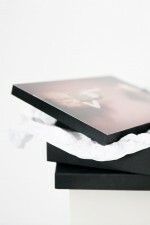 All completed orders remain with Nicola Bald Photography until payment is received in full. Orders with payment plans will not be issued to customers until after payment is completed. Please allow 8 weeks for any print, wall display, and book products to be produced. You will be advised at the viewing of a more accurate turn around time based on individual productions. If you require your images sooner for a particular date you must tell the studio there will be a £20 surcharge applied. All our products are bespoke and hand finished. This may result in a slight variation in actual sizes. Some cropping of images may occur on the final production stage to fit with the products. These products have no value and therefore cannot be transferred or substituted for any other goods and services. “Deal” prints are non-transferrable except for an upgrade option to the next print size for a one off fee. 7. Entitlement/Change to Appointments and Sittings. Appointments for both viewings and sittings can be changed or cancelled with a minimum of 48 hours notice. Failure to give adequate notice will result in a loss of deposits and/or complimentary prints. The studio retains the rights to change your booking at any time. Each client is entitled to a single session in the studio and a single one-hour in our viewing suite. Studio time includes getting ready prior to shoot and exiting the studio. Any reshoots or additional viewings will be subject to a £20 fee. Viewings are arranged by the studio on the day of the shoot, if you cannot sort an appropriate date you must book within 7 days to retain your voucher entitlement, deposit and gift print. The studio reserves the right to change your voucher entitlement when appropriate. No instant viewings are arranged. If the sitting/viewing is cancelled or you do not attend without prior notice (48hrs) Nicola Bald Photography reserve the right to retain this fee. We do not offer an online gallery service as we want you to see your photographs in the best way possible with our trained staff to help. Without exception Nicola Bald Photography own/retain the copyright of all images taken. Any copying, scanning, electronic transfer (via websites) or duplication by clients, or any third party, is strictly prohibited and will contravene this copyright unless permission is given in writing. Clients purchasing a DVD will be given a license to reproduce images on the DVD for private use only, but are not permitted to sell these images on. Nicola Bald Photography may release the copyright on images in certain special circumstances. Should you need to discuss this option, please contact us at Nicola Bald Photography, 11 Clifton Terrace. Haymarket. EH12 5DR. Use of cameras or camera phones are not permitted. Due to the sensitive nature of our work and copyright of our images, clients are NOT to use Mobile Phones or Camera equipment in the studio or viewing room areas. Anyone found to be in breach of this would invalidate any complimentary prints, vouchers and special offers already purchased. Where a refundable fee has been paid this will also become non-returnable. Copying any images produced by Nicola Bald Photography is theft, anyone found to be doing this MAY face prosecution and WILL be invoiced for all images in hi res at the current price list rate. CCTV is in operation throughout the building. Clients are reminded that there is lighting equipment hanging from ceiling track that could be at head level, the studio floor can become slippery when wet, that all tea and coffee served in the studio could be hot and that there is no running allowed in the studio apart from where the photographer may ask. Parents are reminded that they remain legally responsible for their children throughout the time in the studio. This extends to any damage caused. Please note that parents should ensure their children do not touch equipment such as cameras irrespective to where they have been placed by the photographer. Parents are encouraged to watch over their children during photo shoots and under the direction of the photographer be close by, especially with very young children. You must re-arrange your shoot if you have any issues such as cold sores, sty’s, head lice etc. On arrival, if not disclosed, we reserve the right to cancel your session and arrange for you to rebook. This will result in loss of any deposit, we require 48hrs notice to cancel as advised.? From time to time Nicola Bald Photography would like to keep you informed about your sitting, viewing, orders and our products, as well as special promotions and offers. We will not pass your details to any third party. If you wish to be removed from our mailing list please inform a member of the team. We reserve the right to amend, vary or cancel these terms and conditions at any time with reasonable notice.